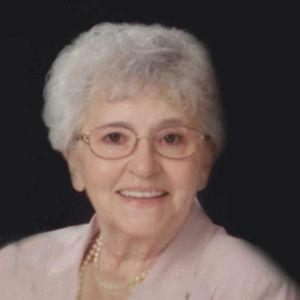 Anna Ruth Leonard, 93, of Owensboro, passed away April 10, 2019 at her home, while under the care of Hospice of Western Kentucky. She was born February 17, 1926 in Tullahoma, TN to the late Walter Martin Hartman and Clara Mae Penrose. Anna loved UK basketball and the St. Louis Cardinals. Most of all, she was a loving and devoted wife, mother and grandmother. She was also preceded in death by her husband, George Lawrence Leonard, just eight days prior to her passing; a great-grandson, Camden Hancock; and two brothers, Harold Hartman and James Austin. Anna is survived by a son, Randall J. Leonard (Sue) of Evansville; daughter, Carol J. Thompson of Georgia; grandchildren, Norman Hill, Emmie D. Neethammer (Mark), Leonard Thompson (Katie), Sara Springer (Scott) and Rachel Rosanova (Vince); and several great-grandkids, nieces, nephews and cousins. The time of gathering for the friends of Anna Ruth Leonard, and her husband George L. Leonard, will be Saturday from 11 AM till 12:45 PM at Glenn Funeral Home and Crematory, followed by a committal service at Rosehill Cemetery Chapel at 1 PM. Memorial contributions may be made to Hospice of Western Kentucky. Memories and condolences for the family of Anna Ruth Leonard may be shared at www.glenncares.com.